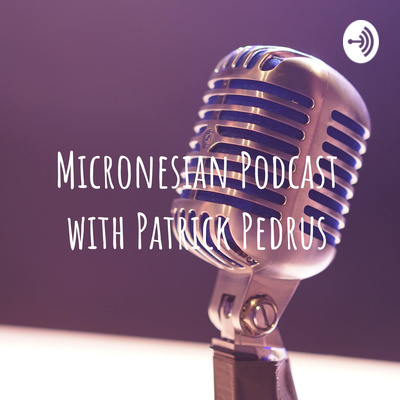 A podcast from Micronesia about Micronesia (and a whole lotta other things) by a Micronesian. Here, we share news, updates, what inspires us and even what disgusts us about our tiny little home in the Pacific. Micronesia is located in the Western Pacific, right above the equator. It's a tropical paradise and I love it. What an amazing month we have had. The elections have been at the front of news, thoughts and frustrations. Now a recount is being talked about. Interesting to see this unfold. We'll keep watching and sharing. The big news here in Pohnpei this week was the weather. We had some strong winds and rain. Fortunately no one was hurt. But we hope that those who are in the path of the storm are safe. Plus some nice observations on the aftermath. See you later. A message from a friend sparked my interest to do a podcast on conspiracies in Micronesia. This is the first for now. Wil follow up with more intrigue on Micronesia. Over in Yap, the new executive leadership shows who they are and someone spills the pig feed on Micro Forum about the Micronesian officials involved in the Lyon bribery case. Great episode today! We have a special guest and old friend, Mike Pangelinan from Pohnpei, talk about a growing and inspiring Islander sports community in the USA and the upcoming Tournament of Champions in March 2019. Thanks for joining me for the first Podcast of 2019. I am happy and grateful to share some news and give my take on some of the issues in Micronesia as a Micronesian. Season's Greetings. Christmas came a couple of days early for the new graduates of COM-FSM's Nursing Program. 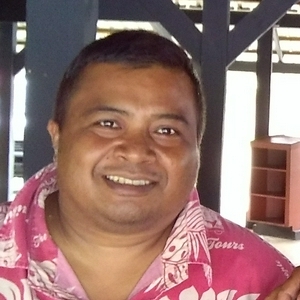 While still in their caps and gown, Director of Pohnpei State Health Services, Kapilly Capelle, offered them jobs with personnel actions dated for 20 December 2018. What a wonderful Christmas story. We are still developing, as the FSM PIO said recently and there are opportunities for all. Please take advantage of COM-FSM, a wonderful institution that serves our people. One of the reasons that this year's tuna commission meeting was a success was the clear and strong stance by the Pacific island nations. PNA took a strong stand and so did FFA against distant water fishing nations. Good on us. Thanks for joining me as we look at stories that are impacting our beautiful Micronesia. The secession saga, US proposal to increase tuna limits, RMI energy future and my take. FSM Congressional Forum yields 4 of 10 candidates, the real I'd act is modified unanimously by the US Senate, remaining funds from MicroGames to be reappropriated plus my take on the collaboration of our 3 Ambassadors in the USA. It's the busiest time of the year. Activities everywhere. Work, family, friends, school all have some sort of activity. Isn't that just the best, though? Merry Christmas and Happy Holidays from the Micronesian Podcast. A recent article on the Guam Daily Post about Chuukese values is the subject of this episode. I like the message, timing could have been better but better late than never. A recent article shared by the FSM Public Information Office shows the varying attitudes in Micronesia towards China. No need for that, just be calm and stay updated. Vote. And stay updated👍😀 Did I say, stay updated yet? Sharing news from across the region. Why not? If you don't like reading, listen up and stay updated. Just stay informed. Talking about Heine, Ridgell, Babauta, chief negotiator and some others. The list is out and the campaigning has begun. May the the best, and qualified candidate win. The fate of our country, as always, remains with us. We elect those who will lead us into the future. Vote and choose well. This podcast along with the Micronesian News Broadcast has an operating budget over $33.00 or more per month. If we can put out content weekly, why can't the government? Plus, good on sister Sha from the Sha'Nanigans podcast. With all the hate in Guam and Hawaii against Micronesians, I have to ask why? And ask if you know why? We are All Humans, we have the capacity to love and hate. Choose wisely, please. It's been 50 episodes! Amazing! Grateful for this technology and this platform. Let's keep connecting and collaborating across OUR Micronesia. We share the ocean in common. Social media is powerful. People are required to make it powerful. Show your power by being a positive impact and example for others, on social media and in real life. I wrote a blog about the almost daily portrayal of Micronesians committing crimes in Guam. Is it true? Sure there Micronesian criminals, but there also a lot of Micronesians who don't commit crime... Where are their stories? Here is the final episode of the 2023 countdown. This has great actionable content including a list that I will be sharing on my blog, themicronesian.com of possible small businesses that can be started with a minimal amount of cash. Let's get started FSM! On this episode, we have a special guest. Our first 😀. Mr Patrick Maloney is a long time friend of Micronesia, who grew up in Pohnpei and is now writing his dissertation on political relations in Micronesia. We talk about Micronesia and 2023. This is a great one, and there are two more to go! The 9th Micronesian Games are over. The first ever live streaming happened for the most part. Listen to our wishes for the next games as we talk about the airline monopoly in Micronesia. Heard a podcast from Guam about my people's plight in their colony. I enjoyed it very much 👍. We need more of this type of communication and awareness around this sensitive issue. Me and the stoic Islander thank the KUAM podcast network, drop our $0.02 and look forward to another podcast. Here is the audio version of the Micronesian News Broadcast for all you audio lovers. You can catch their videos on their Facebook page: Micronesian News Broadcast or my YouTube channel, the Micronesian. The compact of free Association denies FSM citizens the ability to use the postal services provided through the US Postal services for monetary gain. We just found some folks have gotten around the compact.... Listen to what we found out. Here is another episode of the Micronesian News Broadcast, originally airing on Facebook and YouTube. Stay updated Islanders and earn the privilege to live in our God-given islands. Today, we review the book Edge of Paradise. This book was written by a ex-Peace Corps volunteer who had a front seat to the birth of the FSM, RMI, ROP and CNMI. I was able to conduct two interviews using my smartphone, it came out pretty good. We were able to peek into the lives of public school students, one from Kolonia elementary school and another from PICS High School and hear from them what is school is like in Pohnpei in 2018. As more of our people immigrate to the US and start families, they will get more involved in their new homes. In Guam, a half Chuukese former news anchor has announced he is running for a seat in the Guam legislature. Good luck Clynt Ridgell. Do Micronesia proud. Recent initial screenings have shown Pohnpei in Micronesia to have one of the highest incidences of rheumatic heart disease in the world. This podcast is about that screening in Pohnpei and what next steps will be taken to prevent further incidences of the disease. I found a video on Facebook that made me question why people tell stories that are not helpful to anyone. The story we tell ourselves is more important than the one being told of us, especially if it's a negative and stereotypical. Our national college celebrated their 25th anniversary with a week full of activities including a free movie screening, photo exhibit, lecture by our favorite Jesuit priest, Fr Hezel, canoe house dedication, parade and a gala fundraising event. Over $500,000 was raised, $576,000 to be exact. Unfortunately I only attended two events and that's what I'm talking about. Pohnpei's continuing rain throughout this week has caused road, bridge and personal property damage. No confirmed injuries or deaths have been reported. The public is encouraged to exercise caution while driving and advises no swimming in rivers.